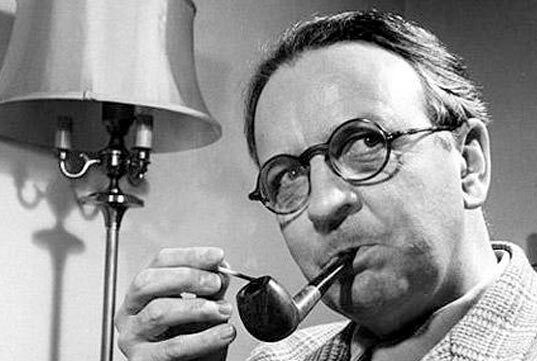 Raymond Chandler’s (1888-1959) novels about Los Angeles in the ‘40’s are classic examples of hard-boiled detective writing. What distinguishes Chandler from other writers is his literary writing style that has been the envy of the mainstream literary heavy hitters like Faulkner, Hemingway, and Mailer. One of his innovations as a mystery writer was to take murder out of the foppish English sitting rooms with their bloodless poisoned tea and hand it back to the violent criminals that shot, stabbed, and pummeled their victims. His famous detective hero, Philip Marlowe, was created to be a last-resort shining knight hero in a dark and hopelessly corrupt Southern California. Though Marlowe’s personal life consisted of lonely nights playing chess with himself and heavy drinking, when he was on a case he was incorruptible and dogged, despite numerous brutal beatings and threats to his life. And he did it all with a sly wit. My favorites are The Big Sleep and Farwell, My Lovely. I often re-read his novels when I don’t have any new materials that measure up. I once had a great conversation with the actor Robert Mitchum about Raymond Chandler, whom he knew personally. At the time, Chandler was also a top screenplay writer, having authored three classic films: Double Indemnity, The Blue Dahlia, and Alfred Hitchcock’s Strangers on a Train. Mitchum was always after Chandler to write a movie for him. Although it never happened, Mitchum eventually had a career resurgence in the ‘70s when he finally played Philip Marlowe in the well-received Farewell, My Lovely (1975) and The Big Sleep (1978). During our conversation, Mitchum told me that Chandler affected an English accent and wore gloves all the time because he was missing his fingernails. I also met Lauren Bacall who starred in the 1946 version of The Big Sleep with her husband Humphrey Bogart. It was a huge thrill for me to meet such an elegant whom I had admired since I was a kid.